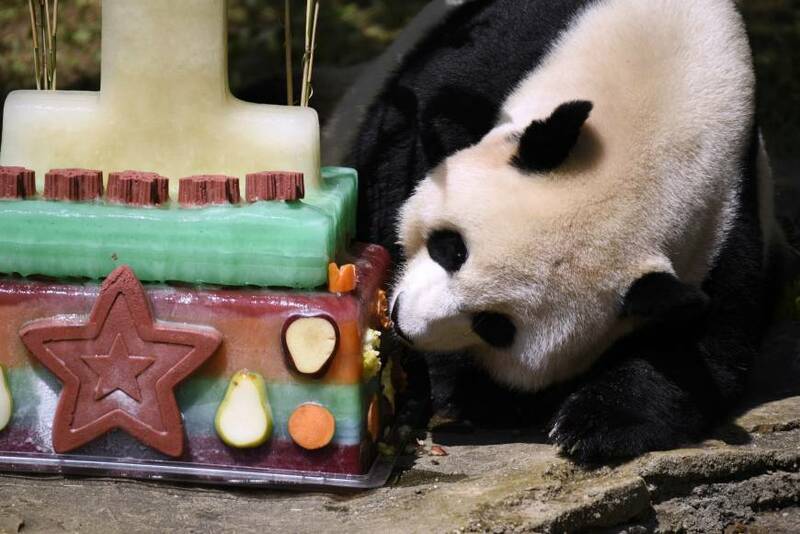 NEW YORK - One of the U.S. capital’s resident giant pandas may be pregnant, officials at the Smithsonian Institution’s National Zoo said on Monday, but warned fans of the black-and-white mammals not to get baby fever just yet. Mei Xiang, who was artificially inseminated on March 1, is showing the signs a giant panda would show if she were pregnant, but those signs are also identical with the hormonal and behavioral changes of a false pregnancy, a zoo spokeswoman said on Monday. Mei Xiang, whose name means “beautiful fragrance,” has had at least five pseudo-pregnancies during her 18 years at the Washington zoo, where pandas are a top draw for visitors. Giant pandas are a vulnerable species, with the World Wildlife Fund estimating their numbers in the wild at only 1,864. A few hundred pandas are in captivity, mostly in China. 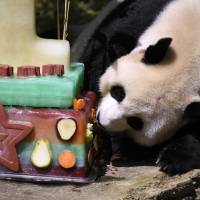 The zoo said on Sunday that it was closing the indoor part of its David M. Rubenstein Family Giant Panda Habitat to give Mei Xiang a quieter environment after she began showing signs that she might be pregnant. Zoo visitors can still see the zoo’s male giant pandas, Tian Tian and Bei Bei, one of Mei Xiang’s three surviving cubs, at the exhibit’s outdoor viewing area, the zoo said. Mei Xiang, who is almost 20 and nearing the end of her reproductive life cycle, was also artificially inseminated last year, but did not give birth. Female pandas can become pregnant for only 24 to 72 hours each year, the zoo said. Mei Xiang and Tian Tian arrived at the zoo from China in December 2000.